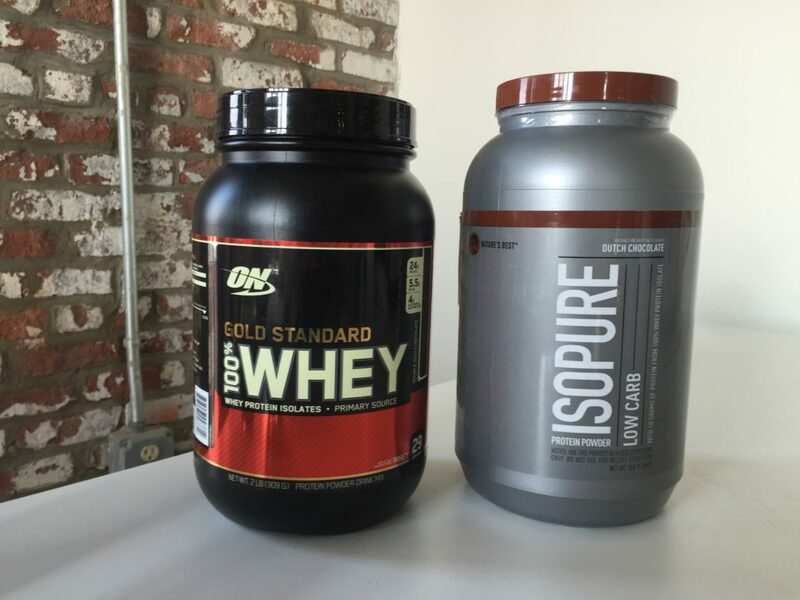 Home » Optimum Nutrition Gold Standard Vs. Isopure Low Carb — Which Is the Best Whey? Optimum Nutrition Gold Standard Vs. Isopure Low Carb — Which Is the Best Whey? 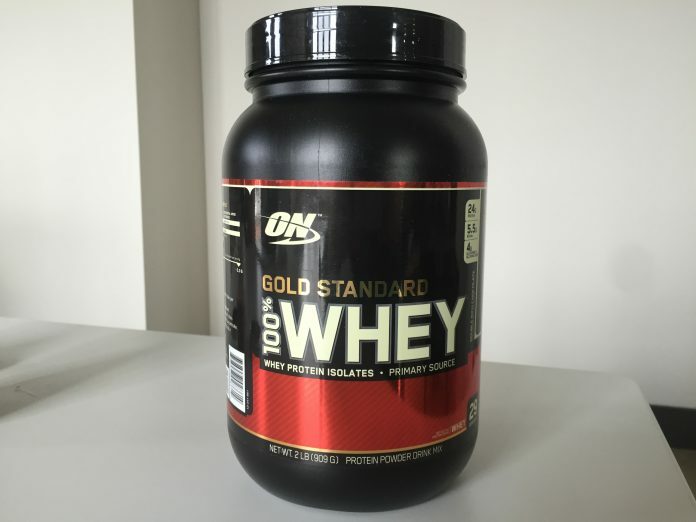 Optimum Nutrition’s Gold Standard Whey is probably the most popular protein powder on the market, and with good reason: it’s cheap, effective, and tasty. Isopure’s Low Carb, on the other hand, is among the most popular whey isolates on the market, meaning it has fewer calories and more protein than Gold Standard. But that doesn’t necessarily mean it’s a better product — we have to weigh nutrition, ingredients, taste, and price. Which is the best whey protein powder we tried? Let’s break down this comparison a little more. Check out our rundown of the best whey protein powders! 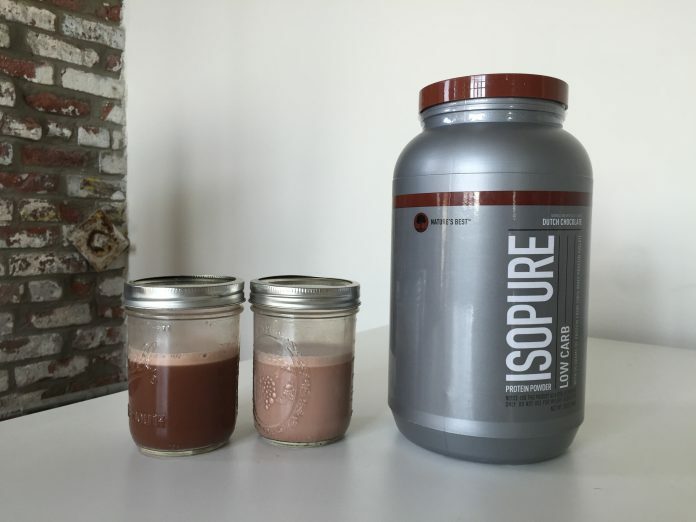 The first thing to note is that Isopure has a really, really large serving size: 65 grams (two scoops), about twice the serving size of Gold Standard and practically every other protein powder. This results in one “serving” of Isopure having twice as much protein as other brands, but there isn’t actually more protein per gram. So, for the rest of this comparison, I’m going to compare the two products by what they provide per scoop. Gold Standard provides 120 calories per scoop: 24 grams of protein, 3 grams of carbs (1 gram of sugar), and 1 gram of fat (0.5 grams of saturated fat). Isopure has 110 calories per scoop: 25 grams of protein, 1.5 grams of carbs (no sugar), and 0.5 grams of fat. That’s a pretty minor difference, and one that’s to be expected when comparing a whey blend to a whey isolate. Isopure also has less than half the cholesterol of Gold Standard, but twice the sodium. What’s more surprising is that Isopure has a ton of vitamins and minerals that were added to it. One scoop has about 25 percent of your daily intake of Vitamins A, C, E, K, most B-vitamins, magnesium, zinc, selenium, and more. More protein, more nutrition, and fewer calories — Isopure was the clear winner, here. A whey blend, the first ingredients are whey isolate, whey concentrate, and whey peptides. Then, as I had the double rich chocolate flavor, there’s cocoa, soy lecithin (for mixability), natural and artificial flavors, the artificial sweetener acesulfame potassium, and the digestive enzymes Aminogen and lactase. Since Gold Standard contains lactose, the enzymes are included to potentially reduce digestive discomfort. This is a complicated ingredients list owing to all the added vitamins and minerals. The first ingredient is whey protein isolate, then cocoa, a lengthy vitamin and mineral blend, soy lecithin, l-glutamine, xanthan gum (a thickener and stabilizer), natural and artificial flavor, and the artificial sweetener sucralose. It’s a good idea for a protein powder to include digestive enzymes even if, like Isopure, they’re lactose-free, because xanthan gum can cause flatulence in some folks. Both products have pros and cons, but Isopure’s list of vitamins and minerals puts it over the top. A 2-pound tub provides 29 servings for $30, coming out to $1.03 per serving or 4.31 cents per gram of protein. A 3-pound tub provides 21 servings for $40.50. That’s $1.93 per two-scoop serving, but it provides 3.86 cents per gram of protein, which is the most important metric. Double Rich Chocolate flavor has a smooth, mild taste that should please most palates. It’s not a strong, double fudge xtreme brownie-type flavor — it simply tastes like sweet cocoa. That means it’s great in milk, but extremely bland with water. I tried the Dutch Chocolate flavor, which tastes more like dark chocolate. It’s pretty sweet when mixed with milk, but it works very well with water — it’s one of the few protein powders I’d be happy to mix with water, which is a real feat. This wasn’t an easy decision because I really do think that protein powders are better off with digestive enzymes, which Isopure doesn’t contain. But it has loads of micronutrients, more protein, fewer calories, less cholesterol, it costs less, and it tastes better with water. My pick is Isopure Low Carb. I’m using the Isopure zero carbs protein powder with vanilla flavor, and overall it tastes and feels good. Nice info, thanks for sharing it.